Biodiesel is a generic name for a diesel replacement fuel that is manufactured from either vegetable oils, animal fats and recycled cooking oils. Biodiesel is manufactured from naturally occurring fats from plants and animals. The manufacturing process converts these oils and fats into chemicals called fatty acid methyl esters (FAME) or more commonly biodiesel. Glycerine is a co-product of the biodiesel manufacturing process. It can be used in most diesel equipment with no modifications or, in some instances, only minor modifications. It reduces global warming gas emissions. It reduces tailpipe emissions, particularly the toxic components. Biodiesel can be used as a blend in any proportion with petroleum diesel. In a blend the number following the “B” indicates the percentage of biodiesel, for example B20 is 20% biodiesel blended with petroleum diesel, B5 is 5% biodiesel blended with petroleum diesel. 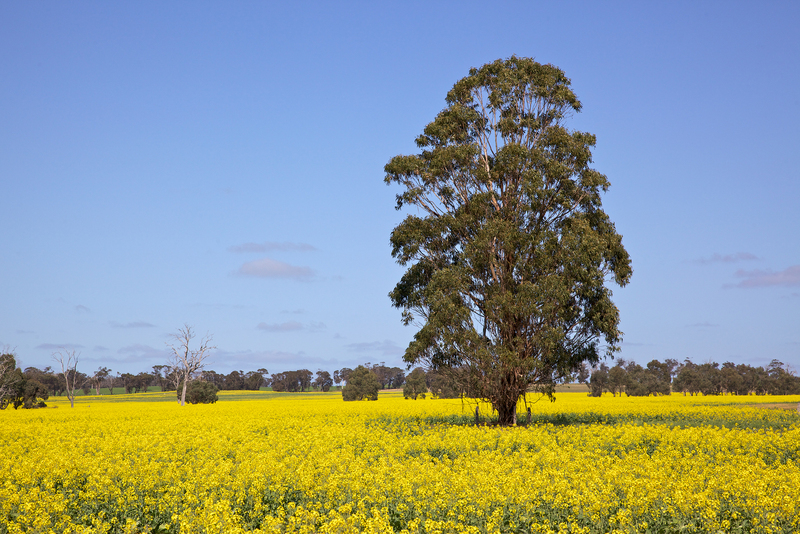 Rapeseed growing near the town of Tiverton in Western Australia.